The Dethatcher easily clips on the front of 36″, 42″, 48″ and 52″ Walker decks without fasteners or tools in a quick, easy motion. 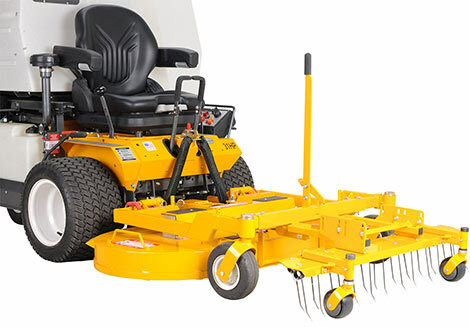 When used with the GHS vacuum on Models MC, MD, MS and MT, lawn thatch and debris are lifted, removed and collected in one pass. 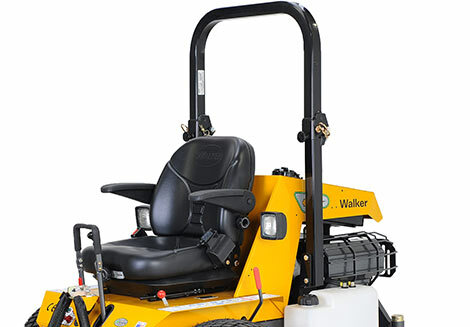 A lift lever with foot trigger lowers and raises the Dethatcher for easy transport when driving between mowable areas. The Dozer Blade features a five-angle positioning head and a spring-trip action for protection when hard objects are encountered. The blade comes standard with a replaceable UHMW polyethylene wear bar, with an optional steel bar available. It comes with a manual lifting mechanism not requiring an implement hitch. As with all Walker implements, mounting a Dozer Blade is a simple and quick process. 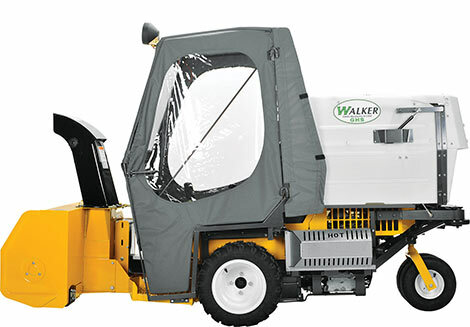 Often used to remove snow from sidewalks, it is also a powerful loose dirt and gravel mover. 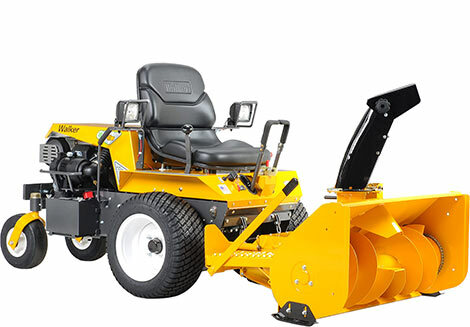 Just the right size for tackling sidewalks and driveways, the 36″ Single-Stage Snowblower mounts directly in place of the mower deck in just a few minutes. It throws snow up to 20 feet with its high speed, clog-resistant auger, even when working in wet, slushy conditions. The discharge chute rotates 180 degrees, and is adjustable from the operator seat. A replaceable, hardened steel scraper provides good clearing action. 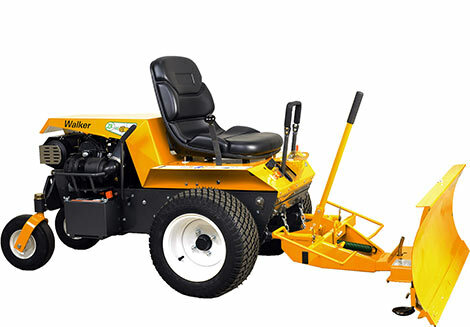 A compact, powerful addition to your Walker Mower, the 36″ Snowblower keeps you working year-round. 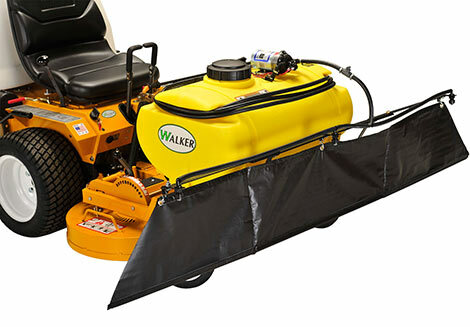 A helpful attachment for mowing companies, the Boom Sprayer easily mounts to all 42″, 48″, 52″, 56″, and 62″ Walker decks and offers a 96″ spray pattern, allowing operators to apply fertilizer or weed-killer in an efficient manner. A spray-gun with a 20 foot hose allows the operator to leave the mower and apply liquid material to all landscape features. The spray tip adjusts to offer output varying from a mist to a 35-foot stream. The 25-gallon tank allows easy cleaning of the tank and spray system.